Laid down, 12 August 1964, at Marinette Marine Corp., Marinette, WI. 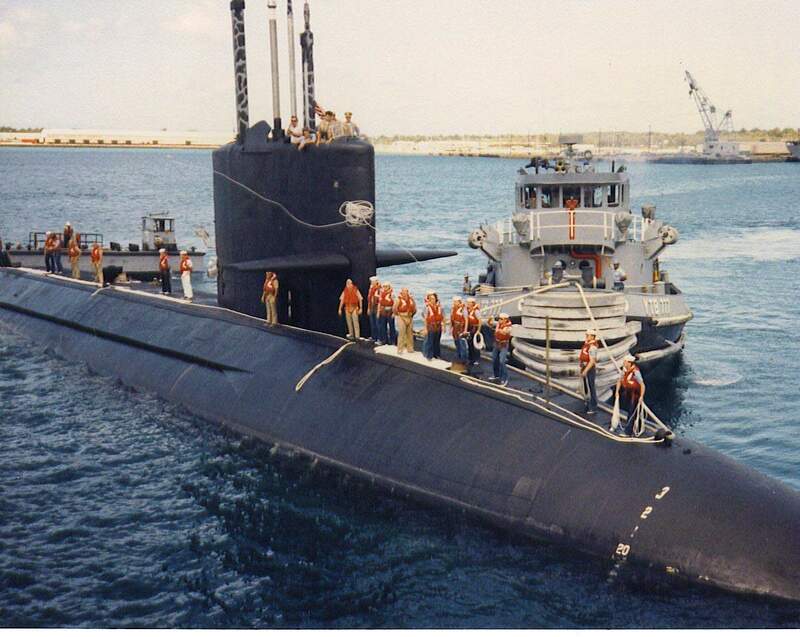 187k Nogalesen (YTB-777) assists the USS Barbel (SS-580) as she approaches the pier at Polaris Point, Guam in April, 1987. Photo by Dave Johnston.